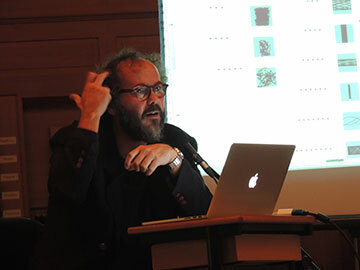 Lecture in Lodz, Poland, on October 24, 2017. 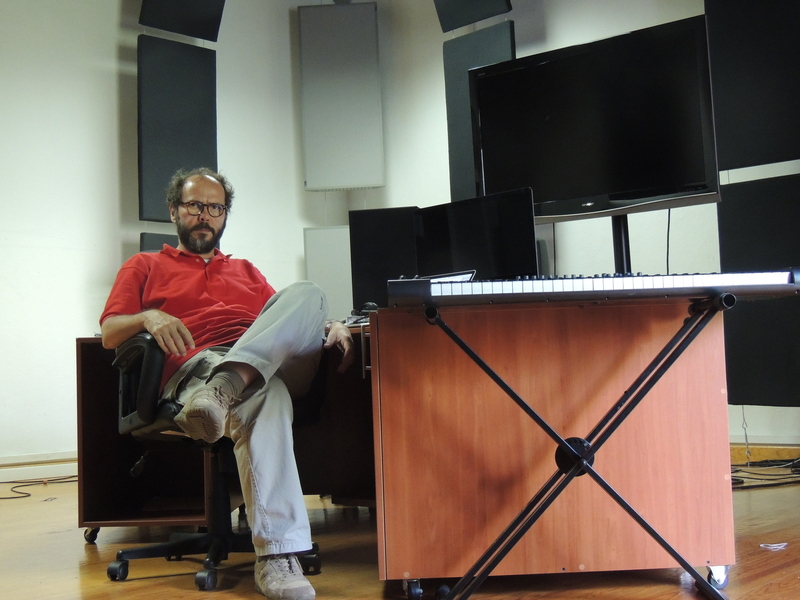 During a recording session at the Studio PANaroma on June 16, 2017 (in the glass reflexion: violinist Cláudio Cruz). 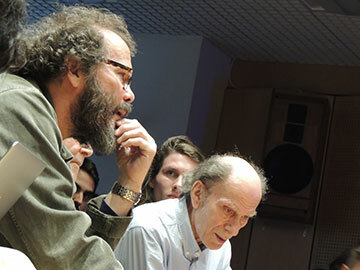 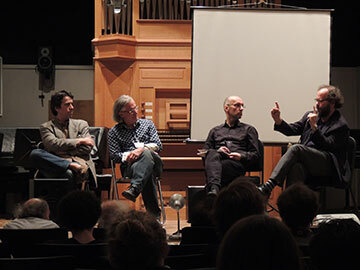 Above: lecture about the "secondary process in the electroacoustic composition"; below: round table with (from left to right) composers João Pedro Oliveira, Robert Normandeau and Hans Tutschku at the festival Monaco Électroacoutique on Mai 6, 2017. 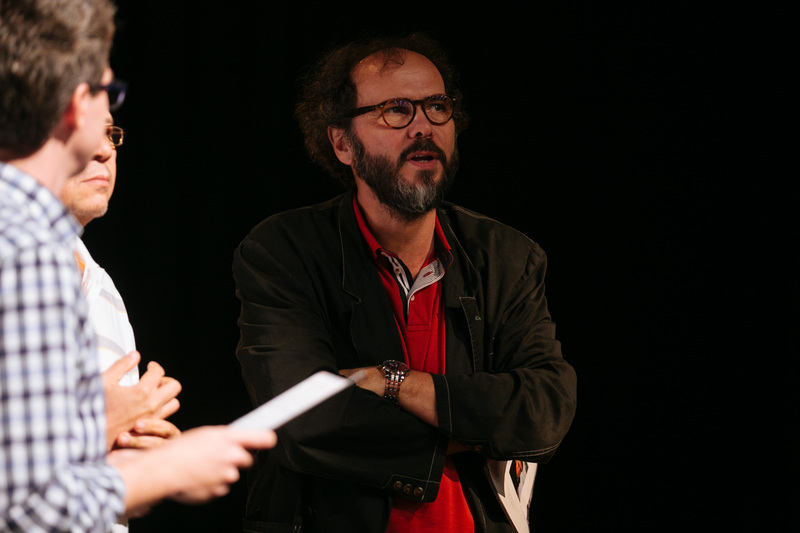 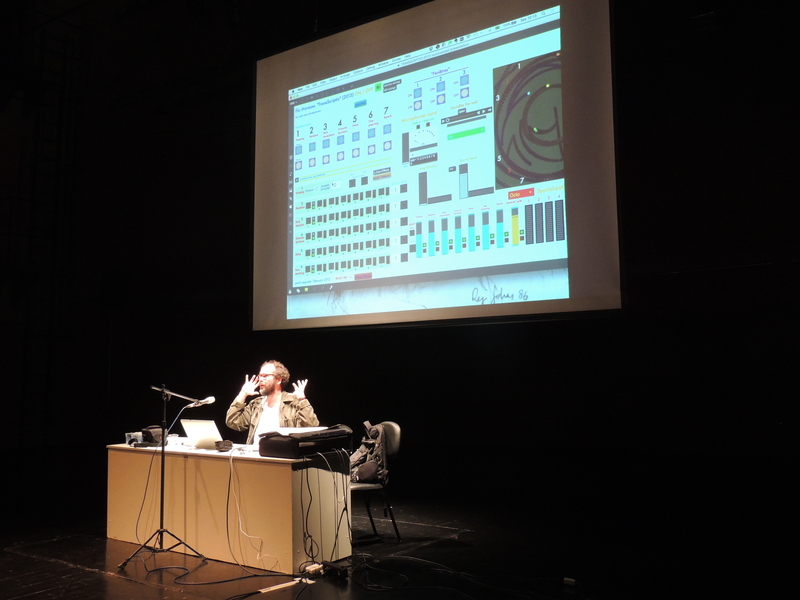 Working together with Francis Dhomont and Horacio Vaggione in the Composition Workshop at the festival Monaco Électroacoutique on Mai 5, 2017. 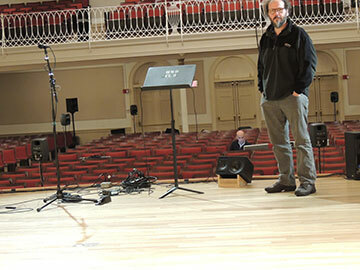 Preparing his concert at the Harvard University on December 13, 2016 (in the background, composer Hans Tutschku). 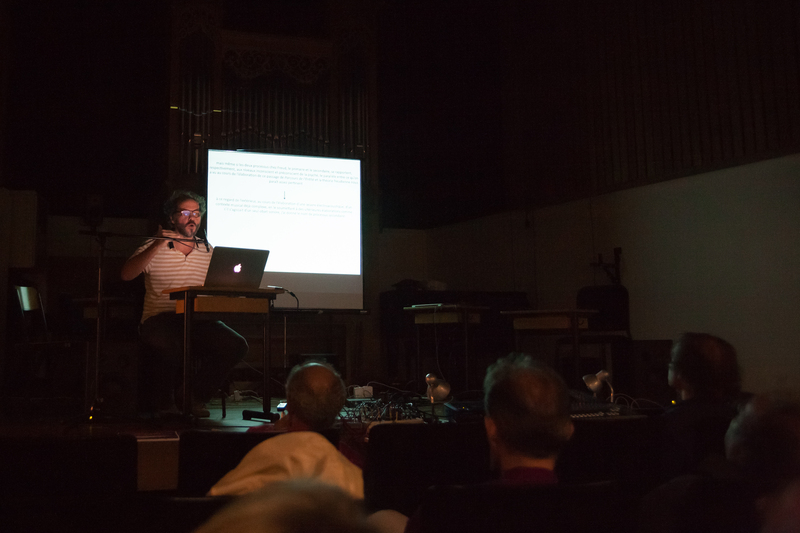 During a lecture and a concert in St. Pölten, Austria, on November 27, 2016, with the IMAcousmonium sound system. 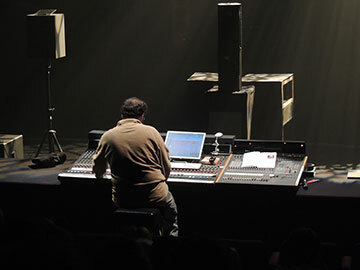 World première of S(c)enario with technique of the SWR Experimentalstudio of Freiburg and Les Percussions de Strasbourg in Strasbourg on November 22, 2016. 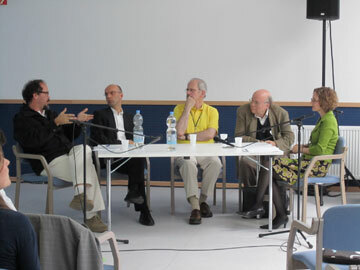 Round table during the XII BIMESP 2016 on October 10. 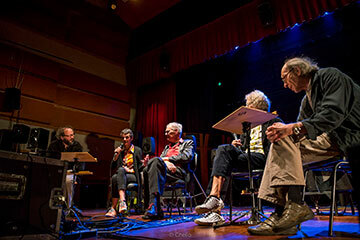 From left to right: Flo Menezes, Elisabeth Schimana, Ake Parmerud, Thomas Gorbach and Horacio Vaggione. 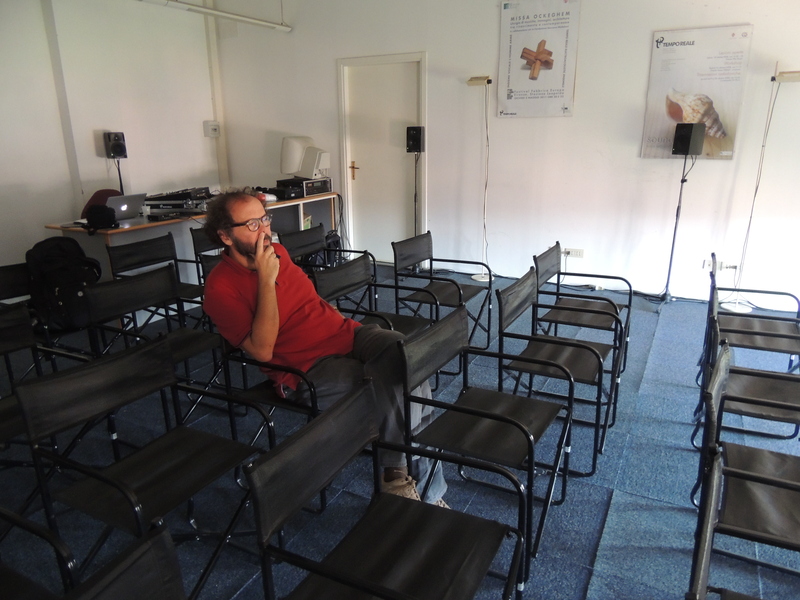 Receiving the visit of physicists for a private listening of Fond d'erreurs at the Studio PANaroma on September 15, 2016. 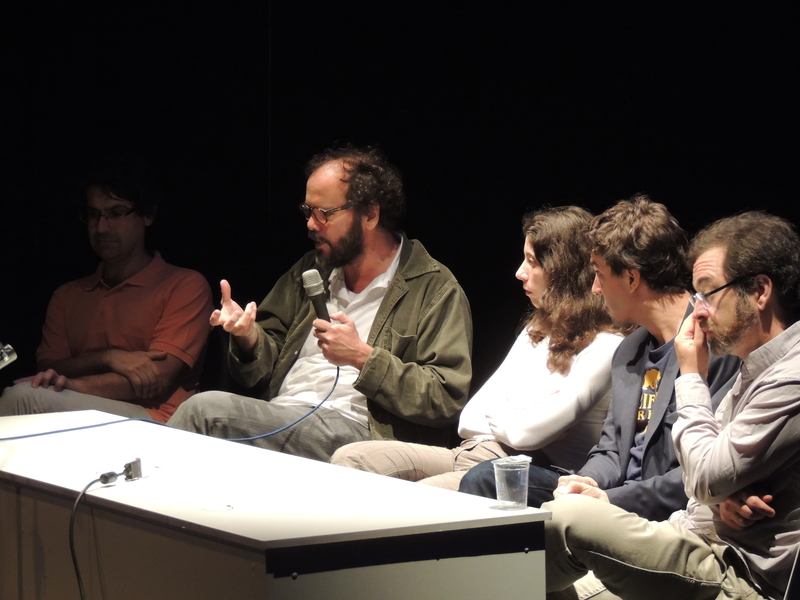 Public interview in Recife, Brazil, during the Festival Virtuosi in December 2015. 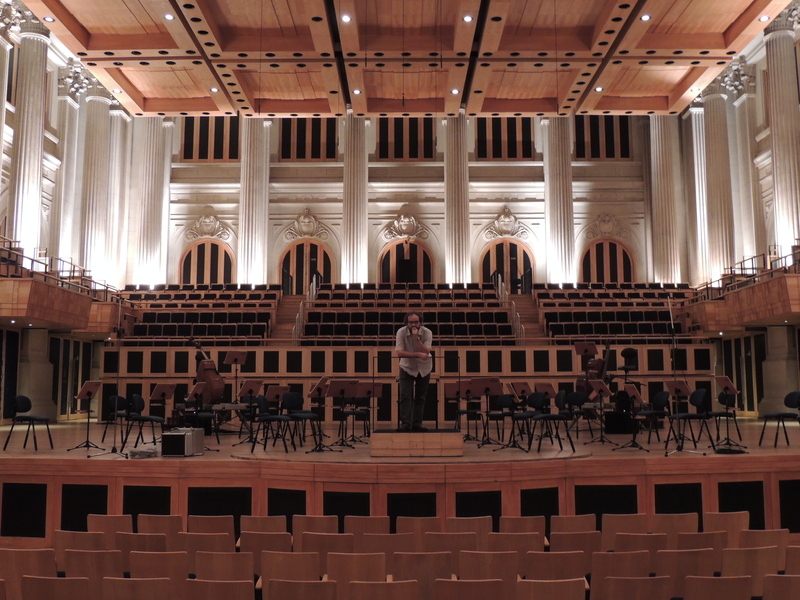 In the Sala São Paulo before the general rehearsal for the world première of Grand écart in November 2015. 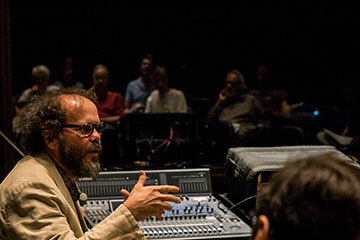 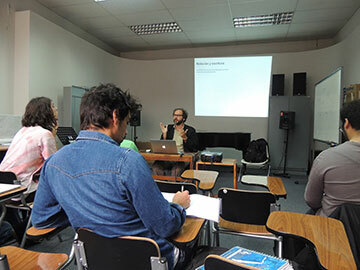 Lecture about his MPSP and round table during the Forum-IRCAM Brazil 2015 at the Unesp (Studio PANaroma), São Paulo, on November 6, 2015. 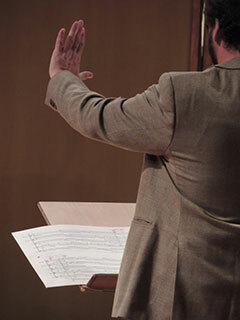 In the Bienal de Música Brasileira of Rio de Janeiro: world première of PostScriptio (violin soloist: Cláudio Cruz; conductor: Simone Menezes) on October 18, 2015. 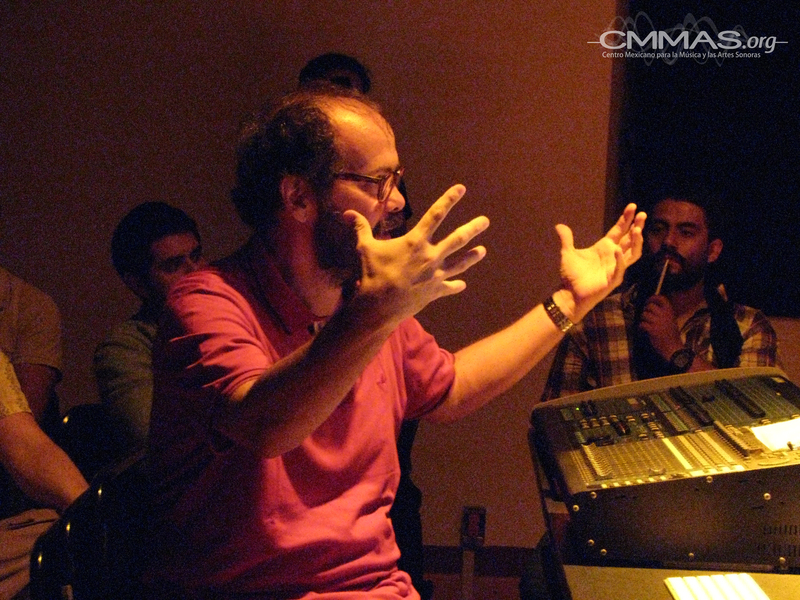 Class, work at the studio and concert during his stay as Composer in Residence at the CMMAS of Morelia, Mexico, in July 2015. 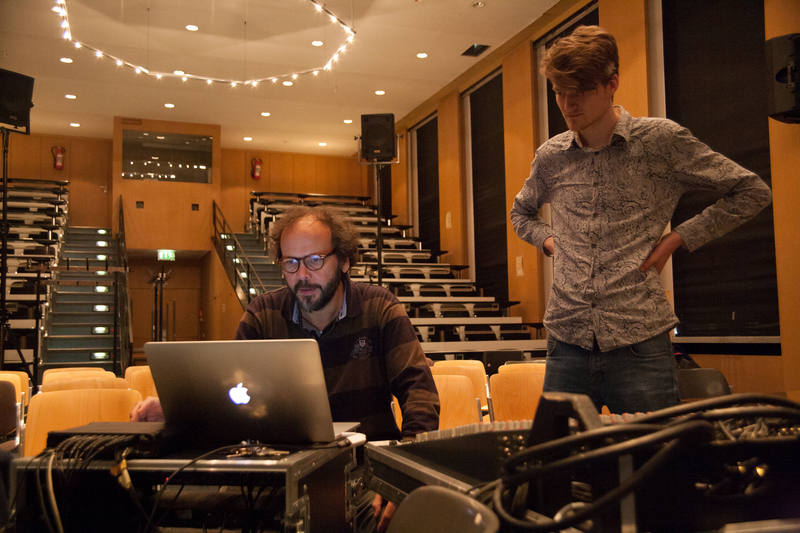 Preparing his acousmatic at the Universität zu Köln, Cologne, Germany, in June 2015. 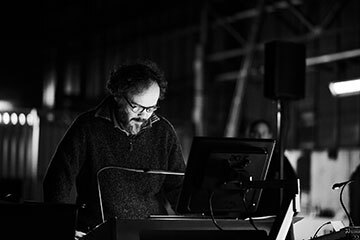 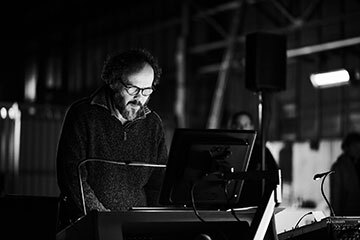 Rehearsing before his acousmatic concert at Tempo Reale (founded by Luciano Berio) in Firenze in June 2015. 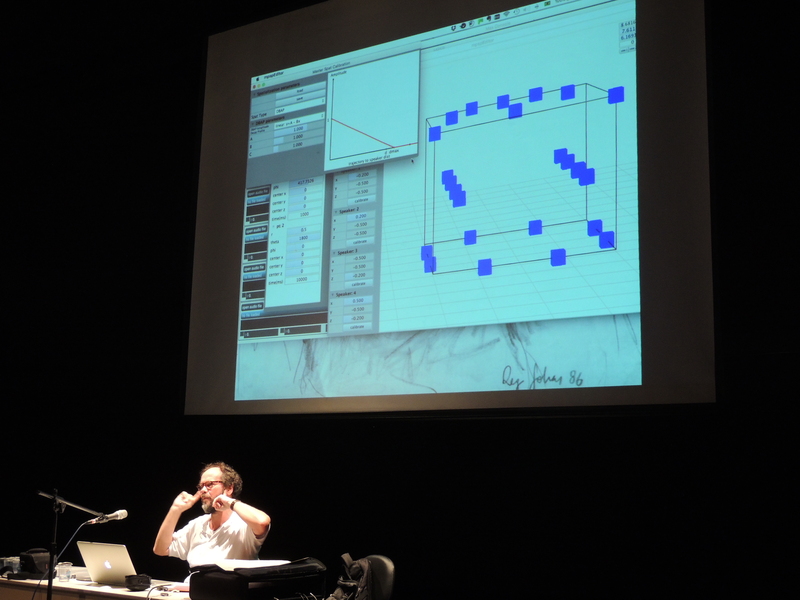 Concert on May 28 and lecture on May 30, 2015, at the Rencontres Internationales de Musique Électroacoustique of Monaco, France. 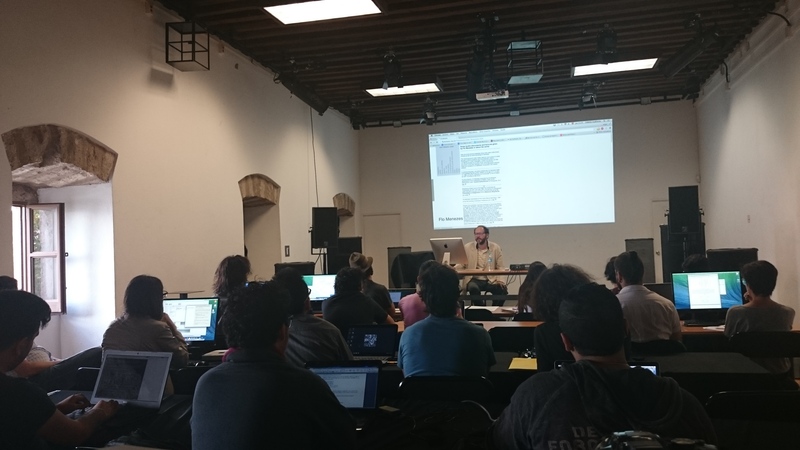 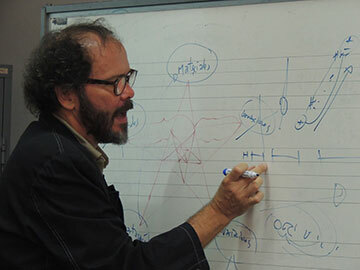 Teaching as Guest Professor at the Universidad de Chile, Santiago, on November 25, 2014. 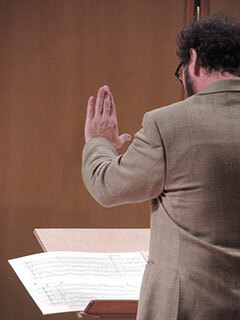 Conducting his Contrafacta at the 45. 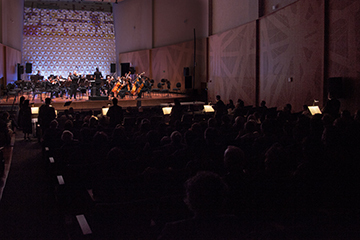 Festival de Inverno of Campos do Jordão, on July 22, 2014. 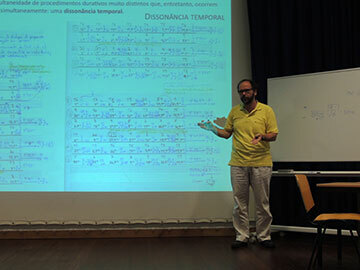 Lecture about Pulsares at the Catolic University of Porto, Portugal, on June 21, 2014. 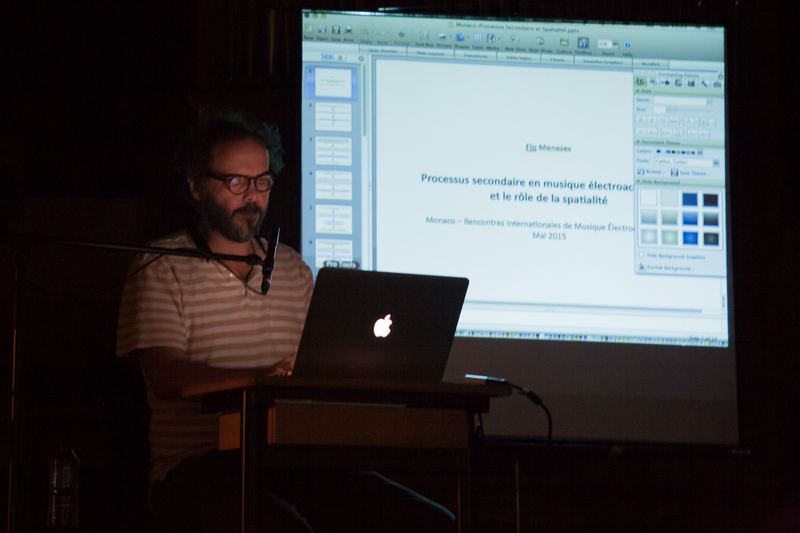 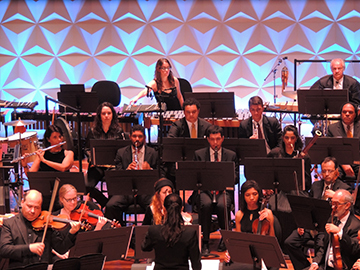 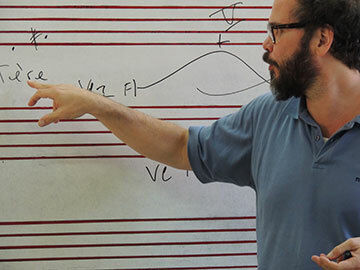 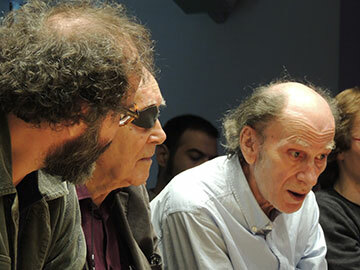 Teaching at the Universidad Nacional de Cuyo in Mendoza, Argentina, as Guest Composer of the Semana de Música Contemporánea, in December 2013. 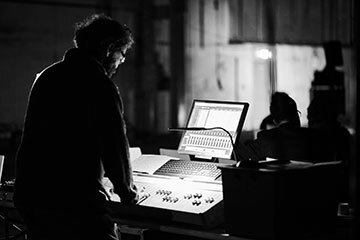 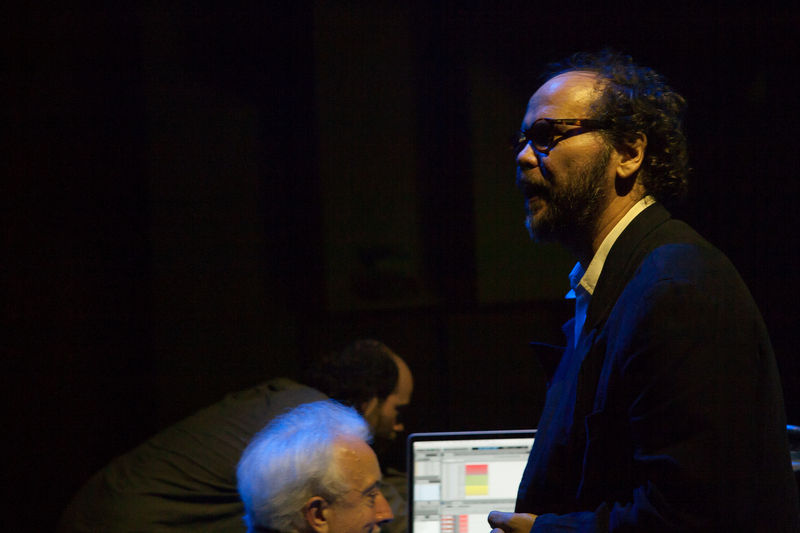 Preparing his concert at the new Centro Cultural Julio Le Parc in Mendoza, Argentina, as Guest Composer of the Semana de Música Contemporánea, in December 2013. 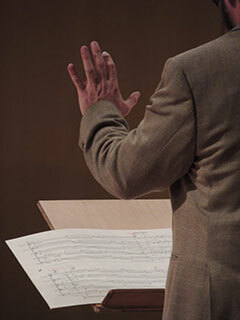 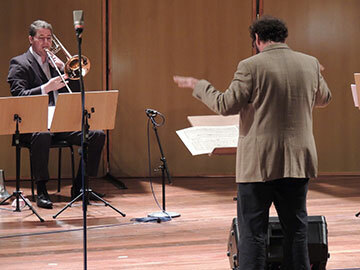 At his concert as Guest Composer of the Festival Espace du Son in Brussels on November 22, 2013. 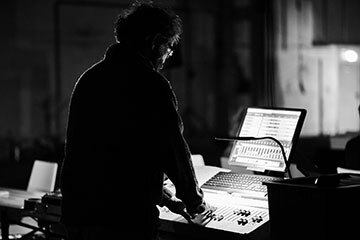 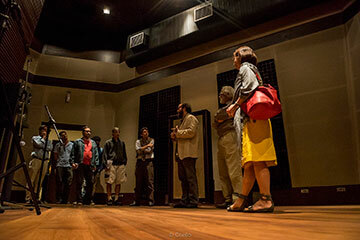 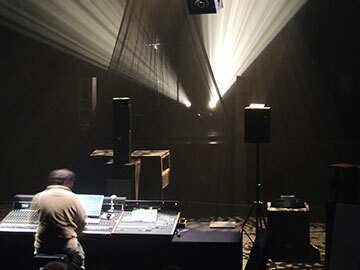 At this opportunity Flo Menezes made the electroacoustic sound diffusion of Todos os Cantos, Motus in fine velocior and of the world première of Simultrans with the Acousmonium of around 80 loudspeakers from Musiques&Recherches. 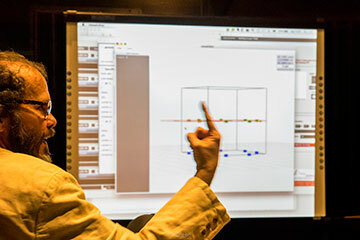 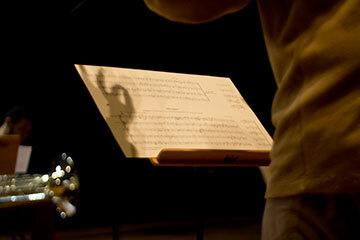 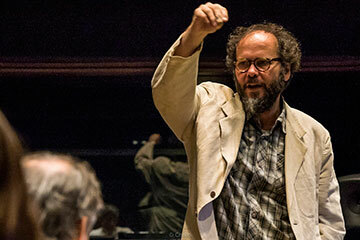 Conducting Contrafacta during the studio recording of the piece in August 2012 in São Paulo. 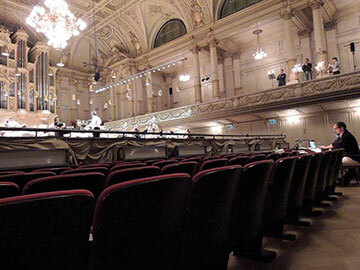 Rehearsing La Novità del Suono with the Collegium Novum Zürich conducted by Marc Foster at the Tonhalle Keiner Saal in November 2012. 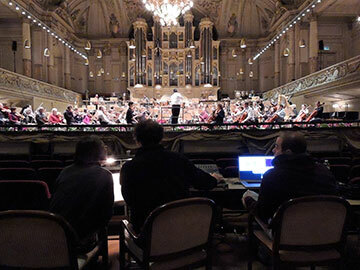 Rehearsing Crase with the Tonhalle-Orchester conducted by Pierre-André Valade at the Tonhalle Zürich in November 2012. 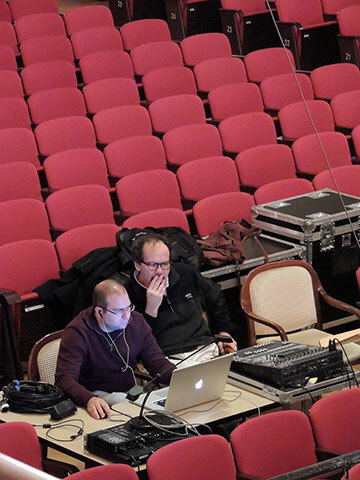 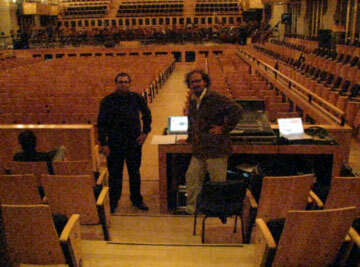 Preparing the electonics with his Musical Assistant André Perrotta for the rehearsals of Crase with the Tonhalle-Orchester conducted by Pierre-André Valade at the Tonhalle Zürich in November 2012. 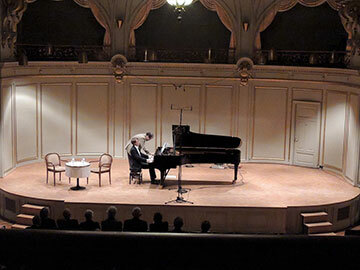 World première of Gefäss des Geistes performed by Michael Mahnig at the Tonhalle Keiner Saal in Zürich on November 9, 2012. 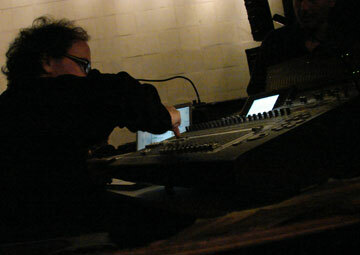 Flo Menezes enters the stage at the end of the piece and surprisingly plays a low pedal until the last bars of the work (as prescribed on the score). 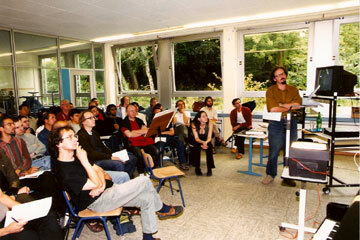 Taking part on a round table at the Stockhausen Courses in Kürten, Germany, in August 2011. 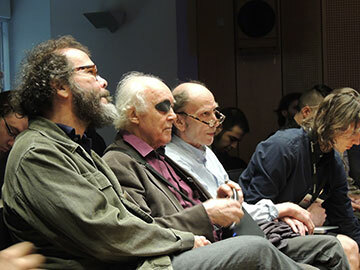 From left to right: Flo Menezes, Hans Tutschku, Jerome Kohl, Rudolf Frisius and Morag Grant. 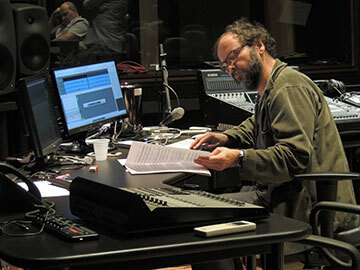 Recording Quaderno in São Paulo, in June 2011. 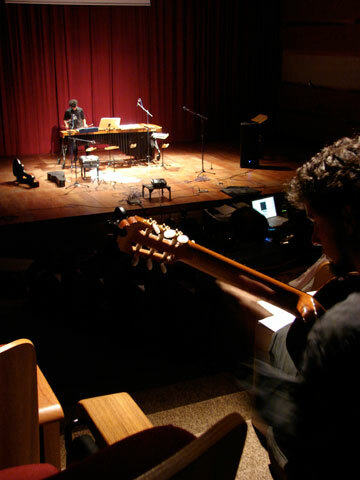 World première of the simultaneous performance of both version of Quaderno at the VIII BIMESP, São Paulo, in August 2010 (marimba: Herivelto Brandino; guitar: Daniel Murray). 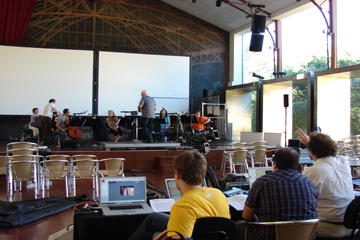 Flo Menezes rehearsing for the world première of O Farfalhar das Folhas with the Sond'Ar-Te Electric Ensemble at the Festival Festas de Lisboa, Lisbon, in July 2010 (photo: Tânia Rajczuk Dombi). 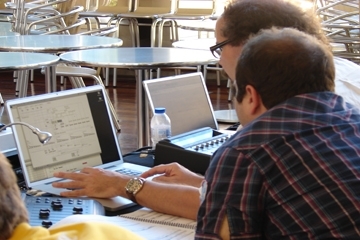 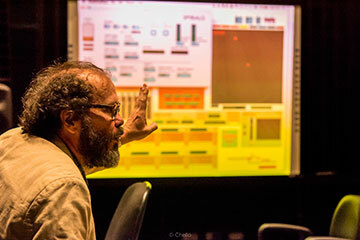 Flo Menezes working on Max/MSP with his Musical Assistant André Perrotta for the world première of O Farfalhar das Folhas in Lisbon, in July 2010 (photo: Tânia Rajczuk Dombi). 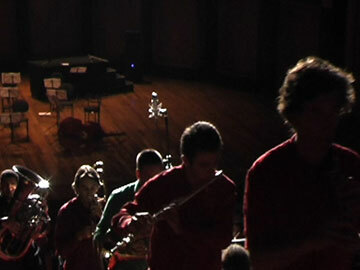 Flo Menezes rehearsing for the world première of O Farfalhar das Folhas with the Sond'Ar-Te Electric Ensemble, conducted by Jean-Sébastien Béreau, at the Teatro Municipal São Luiz of Lisbon, in July 2010 (photo: Tânia Rajczuk Dombi). 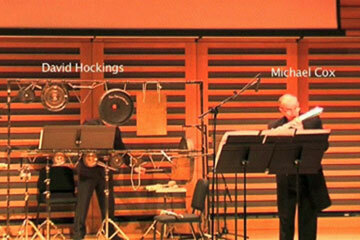 Performance of Parcours de l'Entité at the Sonic Explorations Festival of the London Sinfonietta, London, in October 2009 (flutes: Michael Cox; percussion: David Hockings). 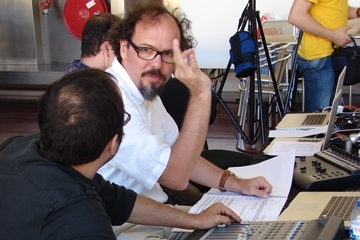 Flo Menezes ready for the rehearsal of A Dialética da Praia at the Festival Música Nova, São Paulo, in September 2009 (in the background left: percussionist Fábio Oliveira; photo: Tânia Rajczuk Dombi). 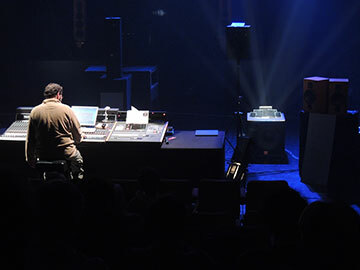 Flo Menezes diffusing the electroacoustic sounds of Parcours de l'Entité at the Festival Música Nova, São Paulo, in September 2009. 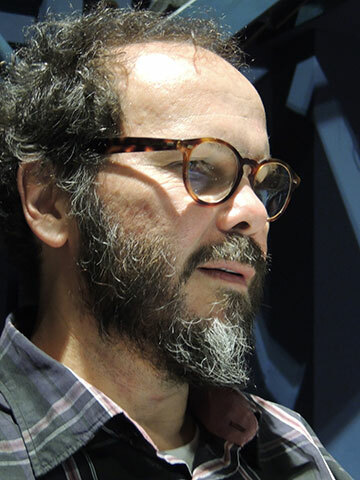 (Photo: Tânia Rajczuk Dombi). 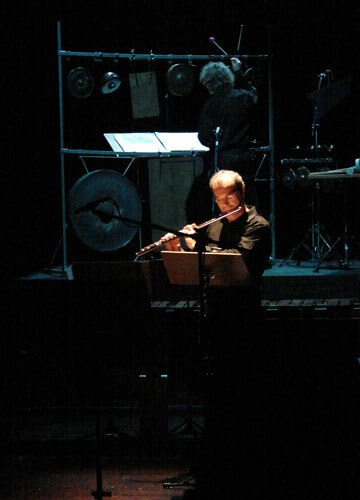 Performance of Parcours de l'Entité at the Festival Música Nova, São Paulo, in September 2009 (flutes: Rogério Wolf; percussion: Thierry Miroglio; photo: Tânia Rajczuk Dombi). 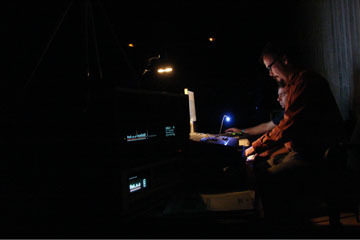 Live-electronics control (Max and Kyma) together with musical assistant André Perrotta at the Brazilian première of Mahler in Transgress, in August 2008 in São Paulo. 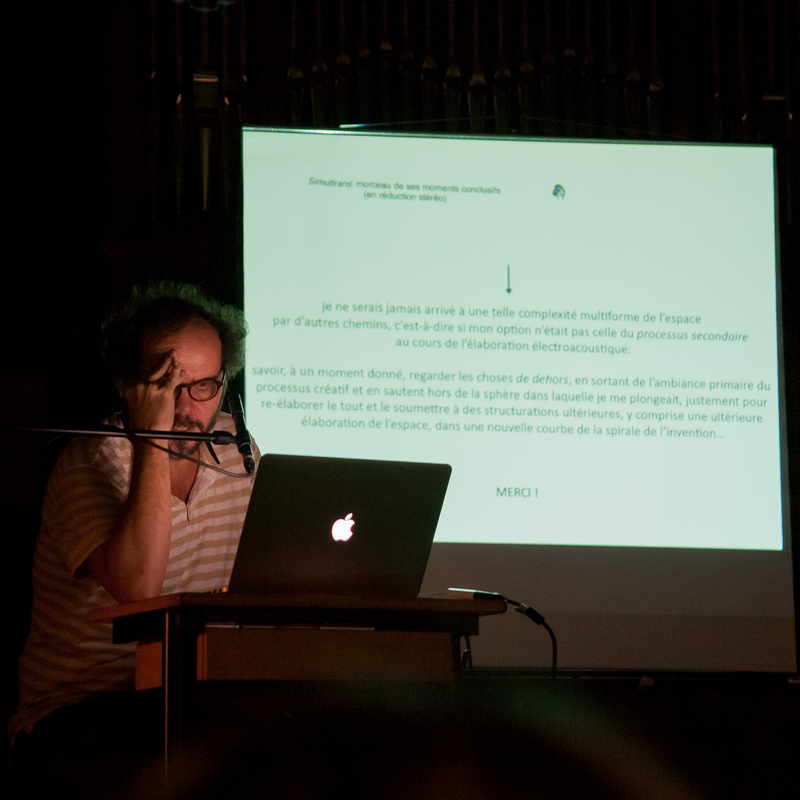 (Photo: Tânia Rajczuk Dombi). 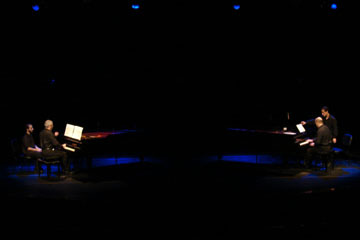 Brazilian première of Mahler in Transgress with Paulo Álvares and Nahim Marun (pianos), in August 2008 in São Paulo. 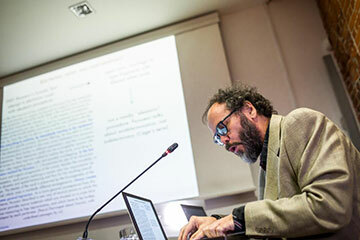 (Photo: Tânia Rajczuk Dombi). 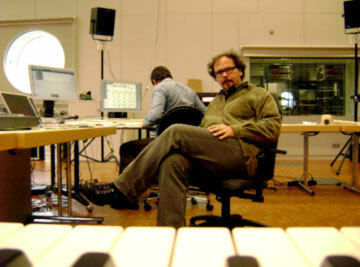 Working at SWR Experimentalstudio für akustische Kunst, Freiburg, on Retrato Falado das Paixões, in March 2008 (in the background: technical assistant Gregório Karman). 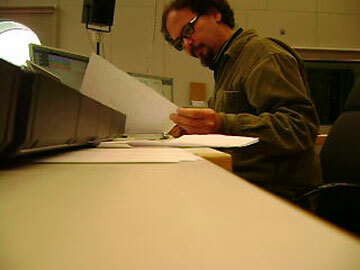 Working at SWR Experimentalstudio für akustische Kunst, Freiburg, on Retrato Falado das Paixões, in March 2008. 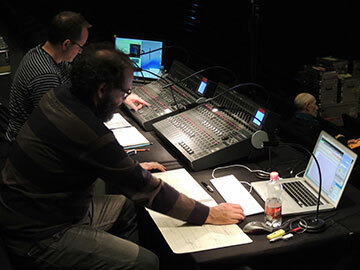 Mounting the PUTS loudspeaker orchestra for the world première of Crase with his assistant André Perrotta at Sala São Paulo, in December 2007. 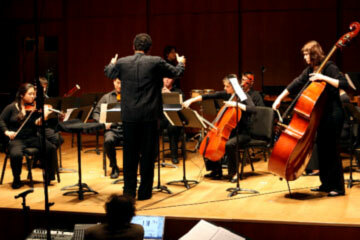 La Novità del Suono played in its North-American première by the Contemporary Chamber Players of Stony Brook in New York conducted by Eduardo Leandro in November 2007. 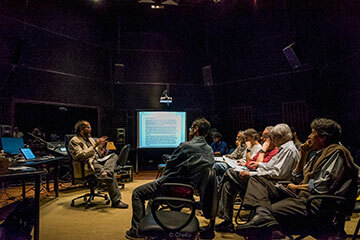 Lecture at CCRMA, Stanford, in the presence of John Chowning, in October 2007. 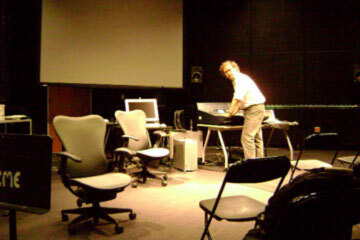 Preparing his lecture at the SpatLab of CRCA, San Diego, in October 2007. 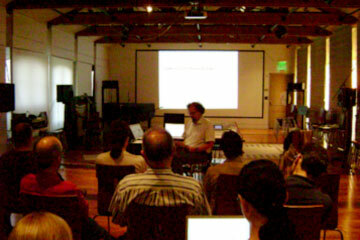 Lecture at the Harvard Electronic Music Studios in October 2007 (in the background: Hans Tutschku). 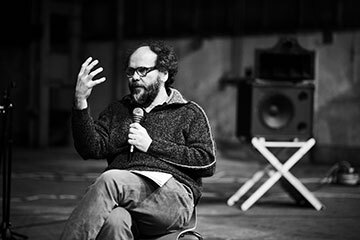 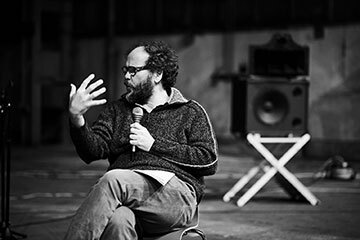 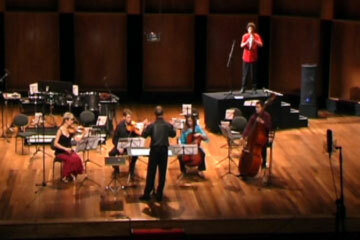 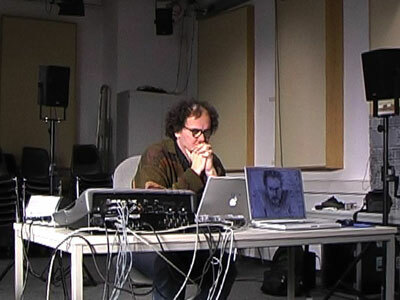 Controlling – with the musical assistant André Perrotta – the live-electronics for the world première in September 2007 in São Paulo of Traces with the Arditti String Quartet (TV emission on April 2008). 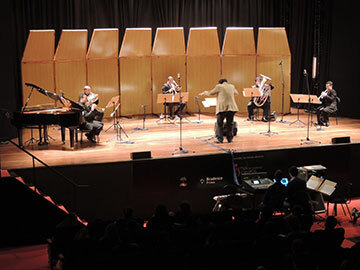 World première of La Novità del Suono by the EOC (Ensemble Orchestral Contemporain of Lyon) conducted by Daniel Kawka in São Paulo in August 2006. 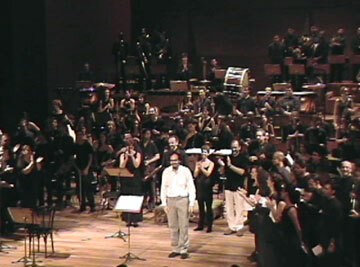 Final of the performance of La Novità del Suono by the EOC in its world première in August 2006 in São Paulo, when the musicians cross the audience as rising to Paradise, where Dante Alighieri tells us about his discovery of "the novelty of the sounds" (title of the piece). 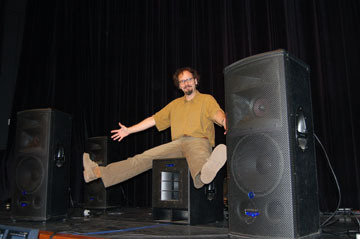 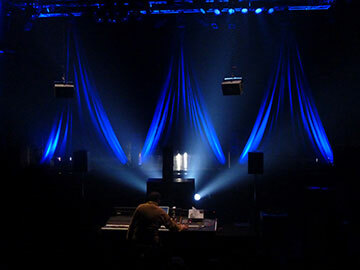 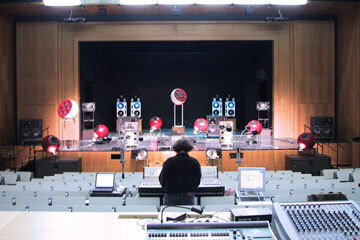 Mounting the PUTS loudspeaker orchestra for a concert in 2006. 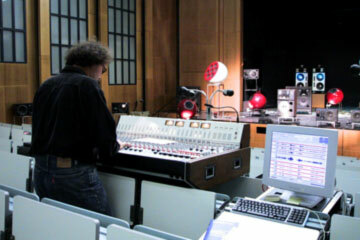 Working at the Klanglabor of the Kunsthochschule für Medien Köln, Germany, on Todos os Cantos, in February 2005. 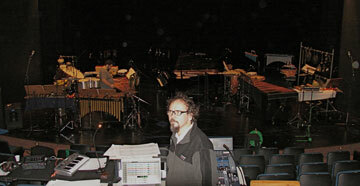 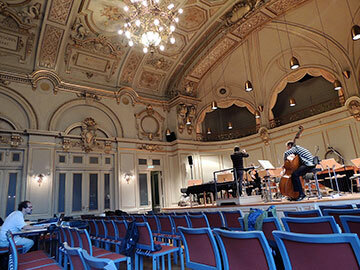 Rehearsing with the GRM-Acousmonium in Cologne, Germany, in 2004 for the world première of O Livro do Ver(e)dito. 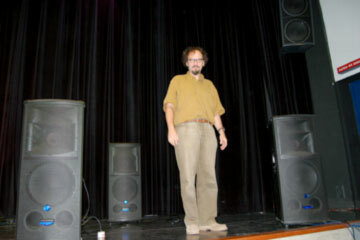 On stage after the world première of labORAtorio, Theatro Municipal de São Paulo, in February 2004. 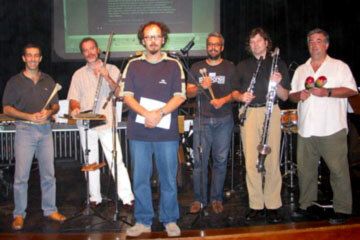 Concert in 2003 with friends, from left to right: Eduardo Gianesella, Rogério Wolf, Ricardo Bologna, Paulo Passos and Joaquim Abreu. 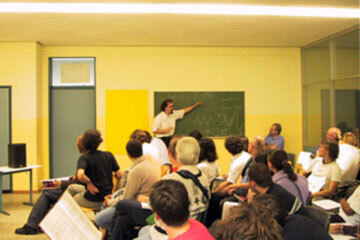 Teaching at the Stockhausen-Kurse Kürten, Germany, in 2001. 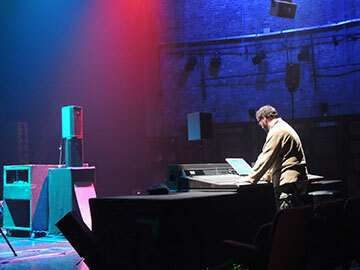 Lecture and concert at the BEAST, Birmingham, UK, in 2001. 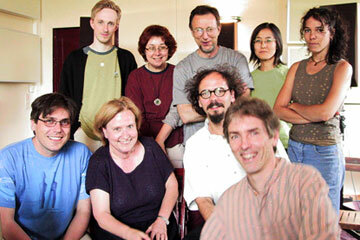 After his lecture at Musiques & Recherches, Ohain, Belgium, with Annette Vande Gorne and her students in 2001. 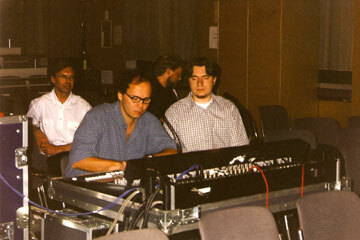 Preparing his lectures and concert at the University of Cologne, Germany, in 1999 (with Marcus Erbe and, in the background, Christoph von Blumröder). 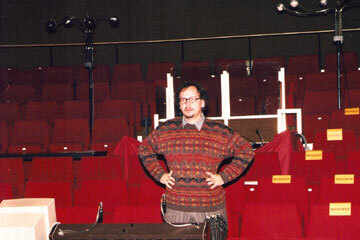 Working on Sinfonias as guest composer at IRCAM in Paris in October 1997. 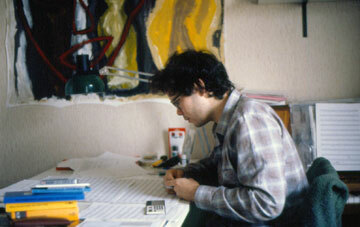 Preparing his concert (with Parcours de l’Entité) with Luciano Berio with the Acousmonium of the GRM at Salle Olivier Messiaen in Paris in October 1997. 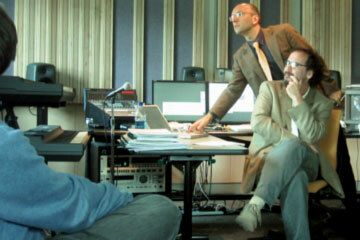 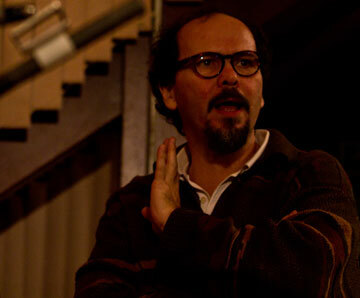 At Studio PANaroma with his students, ca. 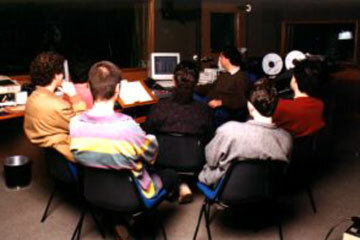 1997. 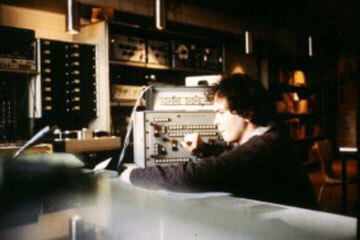 Working with the Arp Synthesizer at the Studio für elektronische Musik der Musikhochschule Köln, Germany, in 1988. 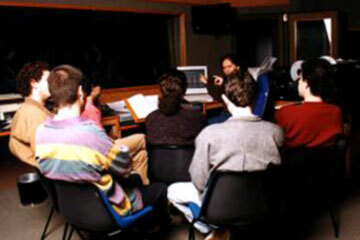 Working at the Studio für elektronische Musik der Musikhochschule Köln, Germany, in 1988. 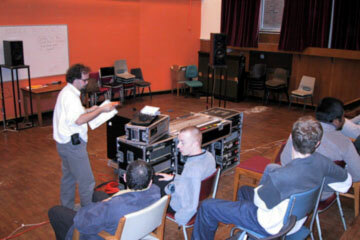 Working at the Studio für elektronische Musik der Musikhochschule Köln, Germany, ca. 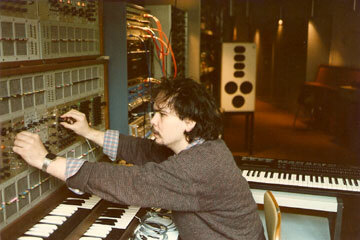 1987. 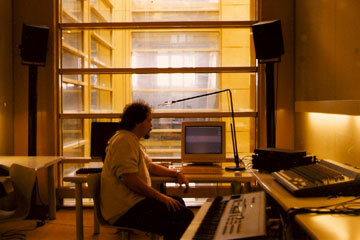 Composing at home while working at the Studio für elektronische Musik der Musikhochschule Köln, Germany, ca. 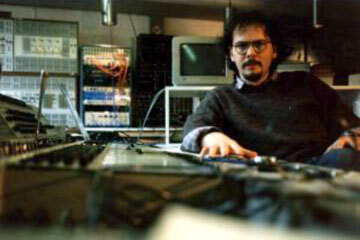 1987.